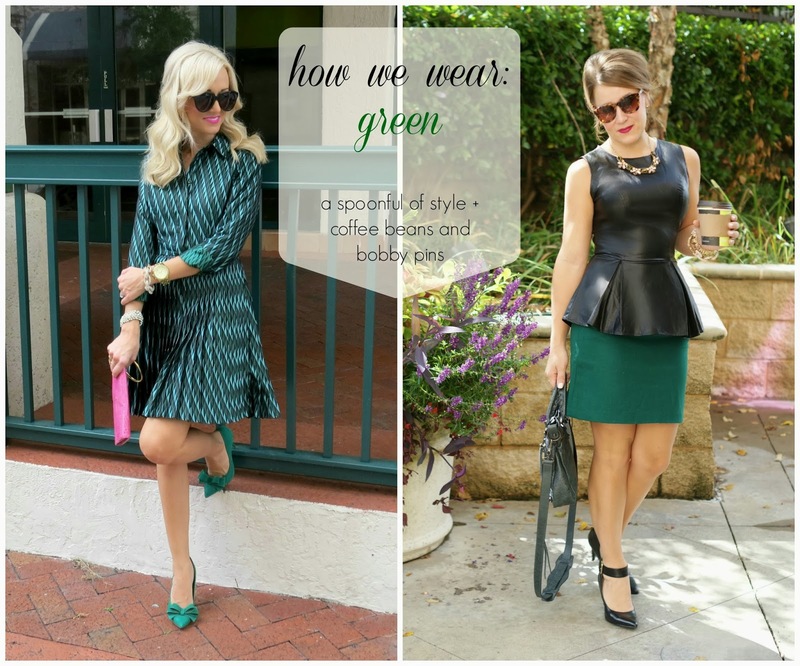 Today I have teamed up with the Beautiful and sweet Amy from Coffee Beans and Bobby Pins to show you how we styled my favorite color for Fall, Green! I love Amy's look. You can't go wrong with green, leather and peplum. Three of my favorite trends! 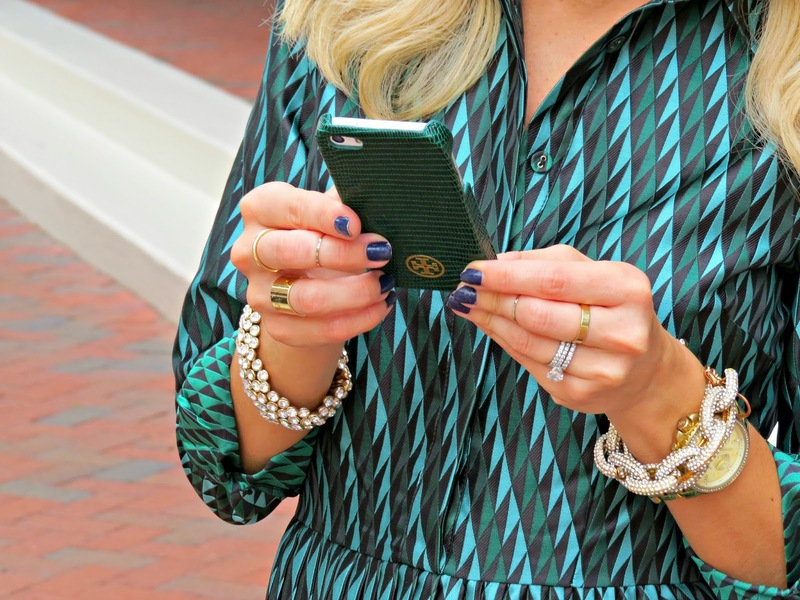 I am loving all shades of green for Fall but especially emerald! This is the second time I have worn green this week...I don't know if you saw my Instagram post yesterday, but I just got the most amazing emerald green clutch that I can't wait to style and it goes perfectly with my new Tory Burch phone case. This ASOS dress is a favorite of mine. I think it is just perfect for Fall and Winter... If you are nervous about doing to much green try out the trend with some accessories. A great bag, shoes or even some jewelry. Be sure to check out Amy's Blog for all of her outfit details and some great inspiration. You both look great! Check out my blog at www.shoeschampagne.blogspot.com!! Love this look!! Green is a great color in you! Loving the pop of pink with your green. You look beautiful! You both look amazing! Love your dress its so pretty!! Loving that green. I'm obsessed with emerald! Just discovered your blog thanks to Coffee Beans & Bobby Pins... so glad that I did! What great style you have! LOVE this dress and these heels are amazing! I love both of your outfits... what gorgeous ladies! Your shoes are so fabulous Jade. That dress is gorgeous and I am obsessing over those heels!! Loving both of your outfits!! You look absolutely stunning. The dress is amazing and of course I'm in love with the shoes! I love the emerald and pink idea! That outfit is particularly gorgeous! That dress is fabulous! And I am in love with the shoes. Love that you paired your green with a pink clutch! Love everything about your outfit! Found you from the SBS Florida blogger list, and I ADORE your blog! New follower :) Let me know if you're ever in the Orlando area! Absolutely love emerald on you! It's the perfect color for fall!